What does the Future Hold for Insurance? Insurance has been around for as long as anyone can imagine. People have always been able to identify risk, and as soon as risk is identified, the need for insurance and protection against these risks also comes to mind. But with so much happening and changing, with climate change, the global financial crisis and advances in technology what does the future hold for insurance? Here we discuss some of the challenges the insurance industry is currently and will continue to face, and ways in which some providers are already using these changes to their advantage. As insurance companies generally hold large investments in hedge funds, private equity and real estate, and the global financial crisis affected pretty much all of these areas in a big way, the capital base of many insurance companies took a major hit. Combine this with businesses going bankrupt, rising unemployment levels and consumers and businesses both looking to cut costs, the insurance industry was really hit hard. While things are still not back to the way they were before the GFC, things are picking up and the industry is starting to repair itself and make up for it’s losses. There’s no doubt about it that unusual weather patterns has meant devastating natural disasters have hit in regions all over the world. And not just in areas that are considered danger spots either. As a result, insurance companies have been hit hard by claims, and many companies that would be used to covering customer inquiries regarding car damage or vandalism claims have had to respond to major disasters involving the loss of homes and property. In order to respond to the change in climate, government enquiries are even being made into how in future, disasters such a severe flooding will be dealt with. We are already living in the Internet age and it makes sense that insurance follows other industries in providing extensive online services for their customers. Some car and home insurance companies have even developed policies with discounts for those who organise all of their insurance online. This really is the future of insurance, and an area that companies need to explore if they haven’t done so already. One huge change that is currently taking place in the insurance industry is a trend towards the personalisation of insurance. Take car insurance for example. People want to be able to only pay the premium that matches their lifestyle. After all, why should someone pay the same amount as someone who uses their car everyday to drive them to work, home and throughout the day if they only use their car every second day or so because they work from home? 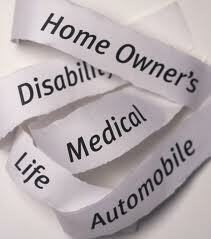 This is another area of insurance that is really going to change the way people look at their insurance premiums. Insurance will always be something that people need and will want to buy. But while the need may never change, the way we purchase insurance and the way we view our cover certainly will change over time. Is Your Child Suffering from ADD? Shoulder Pain – When is It Serious? When should You Teach Your Child to Swim?